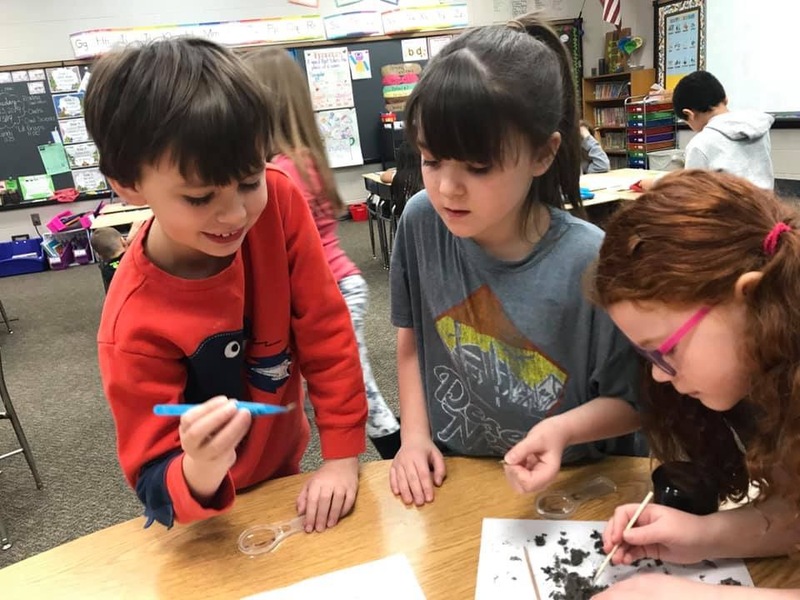 La Porte Community School Corporation will be adding new Project Lead the Way (PLTW) classes to all eight elementary schools for the 2019-2020 school year. PLTW is a hands-on learning approach that utilizes STEM curriculum to enhance student learning in various high demand skill areas. “The corporation added PLTW Launch in the elementary schools to add to the PLTW courses that are already being taught at the secondary level. It will provide a platform to teach the required computer science standards. It will ensure a guaranteed and viable curriculum in PLTW from K-12. PLTW Launch can be a foundation for the pathways at LaPorte High School,” Steve Manering, assistant superintendent of elementary education, said. The positives of adding PLTW in the elementary schools were clear for central office and building administrators, all wanting La Porte students to have access to innovative, real-world learning at an earlier age. “The benefits of PLTW Launch would be to enable elementary students to participate in Project Based Learning. It would be a beginning point for our students to be college and career ready upon high school graduation. It would increase the knowledge base for all students. It would also enable the LPCSC to be a PLTW corporation,” Manering said. Four current LPCSC elementary teachers will be moving from their classrooms to fill the role as PLTW Teacher. Sara Sightes, Katie Talbert, Carly Troy, and Jodi Zygmuntowski will be assigned to two schools within the district where they will meet once a week for 50 minutes with students. “Our students are so lucky to have this opportunity to become hands-on problem solvers. I am positive that the learning they do in my PLTW classroom will carry over into other areas of their day as well. I think we will reap the benefits of the program for years to come as these young children become adults,” Sightes said. Sightes has been teaching for 15 years at Kingsford Heights. She knows the leap to PLTW teacher will be a busy one, but she is up for the challenge, especially since this area is a passion of hers. 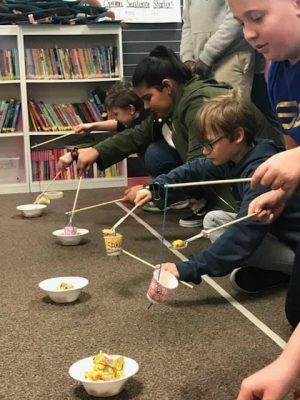 “In the last few years, I have been implementing more and more STEM related lessons into my lessons. I love watching the excitement and collaboration as my students work through various missions. When I learned that there was an opportunity to be able to experience this all day, every day, it was a no brainer! As a graduate assistant many years ago, I was fortunate to have worked with a program that promoted problem based learning, and the results were amazing. I can’t wait to see what our students can do!” Sightes said. Talbert has been a teacher in the corporation for 22 years, both at Indian Trail and Crichfield. She has taught in various grades during her time, which will help her in her new role. Talbert has been working in STEM a great deal in the last few years, also serving on Crichfield’s STEAM Team. The opening for PLTW seemed like the next right move in her career. “I like to see students be challenged and persevere. STEM activities provide hands-on lessons for the student. They allow students to actively participate, move around, and really get enthusiastic about learning. I wanted to inspire the students in STEM lessons so they become lifelong learners in this field. I have had many classroom experiences that have lead me to this placement. I know that it is a perfect fit. I am look forward to the new challenge. It is very exciting,” Talbert said. Troy has been teaching at Kingsbury for the past five years, and the thrill of teaching computer science and STEM based activities each day made her decision to move over to PLTW an easy choice. She knows that this opportunity is incredibly important for students. “With the rapid changes in technology, we keep hearing that the jobs that the elementary students will get when they are older, haven’t even been created yet, and they will actually be the ones creating the jobs. Not only will PLTW expose students to other job possibilities in STEM, but the PLTW class will teach the students how to use their communication, collaboration, and critical thinking skills which will help them in any position,” Troy said. Zygmuntowski moves to PLTW after 28 years in the classroom, seven at Lowell and 21 as a first grade teacher at Kingsford Heights. This shift is one that gives Zygmuntowski a chance to impact the future generation in a different way. “The change to PLTW was a simple one for me. This new program will allow me to teach in a more hands-on approach using real life situations. This will allow students to better prepare for what lies ahead. Preparing students to be leaders, planners, organizers, and problem solvers is key to success. My hope is to inspire learning in a different way, away from textbooks and worksheets. Giving students time to explore, design, and create with their peer is exciting to me,” Zygmuntowski said. The intermediate campus will continue to offer STEM opportunities by adding Emily Kirsch as a PLTW teacher. Kirsch currently teaches at Riley Elementary and has been in the corporation for 10 years. “I felt the leap into the PLTW is such a unique opportunity. I could not let it pass by! I am beyond excited to challenge and engage my students in ways I have not previously,” Kirsch said. This will ensure that LPCSC students will have constant exposure to this engaging and innovative work from K-12. “I am really excited to see how the elementary PLTW program prepares and sparks interest in our student and their futures. I really feel this program is going to be a staple in our community and their College and Career Readiness pathways,” Kirsch said.